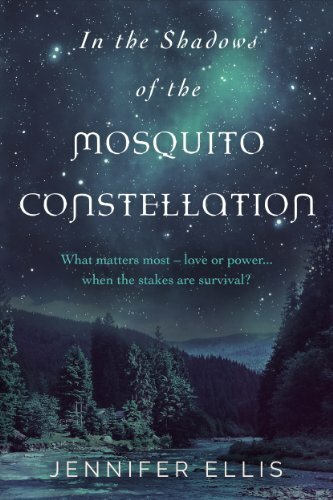 I am deep in final editing land for In the Shadows of the Mosquito Constellation (so many comma choices) and first draft land for the sequel to A Pair of Docks, so I will keep this brief. I also happened upon a few more marketing options in the last few weeks so I will add those to my list and do a seventh blog post in my marketing series. There may be a brief blog hiatus as I have to make some critical comma decisions in the next few weeks, and will have some other exciting writing news to share soon. Price pulsing, freebies and sales are considered to be central to the marketing of indie books. Indie authors have far more control over their pricing than traditionally published authors and this gives them the freedom to use pricing as a marketing technique, often to great effect. In general, the indie strategy of keeping one’s e-book price low, relative to traditionally priced books, at times is a critical marketing ploy. Free used to be a key marketing strategy when Amazon counted free downloads as equivalent to sales in terms of Amazon rankings. Authors used free periods (usually through the one per three month five day free periods allowed on Kindle Direct Publishing Select – but there are other ways) to launch their rankings into the stratosphere, build their fan base and get reviews, and then hoped to translate their rankings and reviews into steady sales. However Amazon no longer counts free downloads as equivalent to sales, so this is no longer as effective a strategy. Nevertheless many writers still use free periods, or permanently free status (particularly for the first book in a series), as a key marketing approach. There are also a huge number of advertising sites specifically geared to advertising free books. Some authors swear by free, including Lizzy Ford, who made all of her books free for 12 months, and Lindsay Buroker, who has had the first book of her Emperor’s Edge series available for free for a long time. Joe Konrath also makes a very good case that free still works, and points out that free even worked for one of his books that is written under a pen name that he has not copped to owning yet – to make the point that free works also for relative unknowns. Having observed it in action, free definitely works, especially if you have two books (two books in a series is even better), and you use your free period on your first book to drive sales on the second. Be warned though, you are going to give away a lot of free books, and for some people, particularly if you only have one book, it might not translate into continued sales once you start charging again. I am definitely going to try free as soon as book two of the Derivatives of Displacement is finished. If you are not part of KDP Select, you can make your book free by lowering the price on other platforms and then ensuring Amazon knows about it. Amazon will price match and your book will end up free. This seems to work but can be risky as it is not clear how quickly you can move the price of your book back up. Bottom Line: Free still works. However it seems more effective when you have more than one book out and free downloads on one book result in additional sales on the other book. Sales are other price related marketing strategies, especially since Kindle Direct Publishing (KDP) Select now has the Kindle Countdown opportunity that allows you to keep your 70% royalty for an up to seven day ‘sale’ in which you can reduce the price of your book (within limits based on the original price) and then have it step up in price over the course of your sale until it reaches the original price. You can also just have it at one single sale price over the course of your countdown. Amazon puts a helpful Countdown meter of some sort on the side to help potential buyers feel the pressure. You must not have changed your price for thirty days before you start a Countdown. You can also simply put your book on sale at any time on KDP and lower the price to 99 cents. But in the absence of a Countdown sale, you are only getting 35% royalty. I have done both a straight 99 cent sale and a Countdown 99 cent sale. I kind of sullied my numbers though by advertising my Countdown sale so I can’t compare it directly to my straight 99 cent sale. I chose advertisers that did not cost more than $22 per day and used a different advertiser for all but one day of my six-day Countdown. Based on my sales numbers, running a 99 cent sale of any sort without advertising is not really worth it. You might move a few books, but not a lot (keeping your book at 99 cents permanently is discussed below). Coupling advertising with the Countdown sale moved books, enough in one day for me to get bestseller status in my category and the glorious orange flag that accompanies it. That was a very exciting day. It is important to note that on the days I did not have any advertising running, and I just had the Countdown sale on, I did not move any books. However most of my sales during the Countdown occurred during the last two days of the Countdown, which is also when I had my best advertising lined up. So did I sell a bunch of books those days because it was approaching the end of my Countdown (and the counter was ticking away) or because of the advertising? I don’t know. It is also critical to note that Countdowns can only be seen by US and UK customers (if you have a high enough original price to run a Countdown in the UK – I didn’t). So it is a bit more exclusive. Despite the glory of being number one in my category for almost 48 hours, I did not quite cover my advertising costs with my sales returns, so don’t plan a trip to Hawaii before your Countdown. I managed to continue selling a few books a day after my Countdown ended, but within a week had returned to my usual sales patterns. Darren Patrick and M. Louisa Locke offer very good analyses of their Kindle Countdown experiences (note that in the same post Locke also analyzes her experience with KDP Select free days and found them to be superior). Bottom Line: Sales, and in particular Kindle Countdown sales, can boost your ranking and sales and result in a post sale bounce, but generally only if you do a promotion/advertising at the same time. Everyone views price pulsing a little bit differently. For some people it is just simply a sale in which you drop your price and then raise it again while you are still cresting in the rankings, hoping to hold onto that ranking once your book has returned to the regular price as described by (and invented by?) David Gaughran. Another approach to price pulsing is just to try a range of different price points for your book for a period of time each and finding the so-called sweet spot for your particular book. For some people, this is maintaining their price at 99 cents. 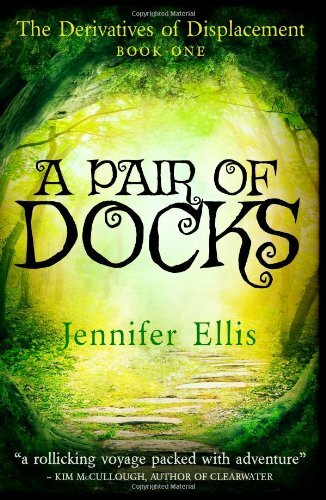 You have to move a lot of books at 99 cents though to earn the same as what you would earn at $2.99, which is why $2.99 is one of the most common book prices out there for indie books. Others find they sell more books at a slightly higher price point of $3.99 and $4.99. As always, Lindsay Buroker offers some great thoughts on the topic. The point is to try a range of different prices and finding out what works in terms of the intersection between sales and returns from those sales. However, it is important to note that if you are planning a Countdown sale you can’t do any price pulsing in advance. However price pulsing is not without its critics and some folks in forums suggest that if you consistently price pulse, some readers will simply wait for sales on your books (however they have to be watching your book pretty closely to know that you price pulse). Bottom Line: I have not tried much in the way of price changes – I have just shifted between 99 cents and $2.99, but some further exploration might be worthwhile. I would love to hear about your experiences with pricing. What worked, what didn't?